The Great Clipper Sale at Alexander Lamont will weigh anchor on 18 May and run for two weeks until 2 June 2013. Like the clipper trade ships of the 18th century that carried exotic goods from Asia to Europe, our third floor Gaysorn store will be stacked high with wonderful objects. Here you will find original Alexander Lamont furniture, lighting and accessory designs, decorative antiques and curiosities collected by Alexander Lamont from all over Asia, and beautifully finished genuine antique furniture pieces. All are now made available at huge discounts. 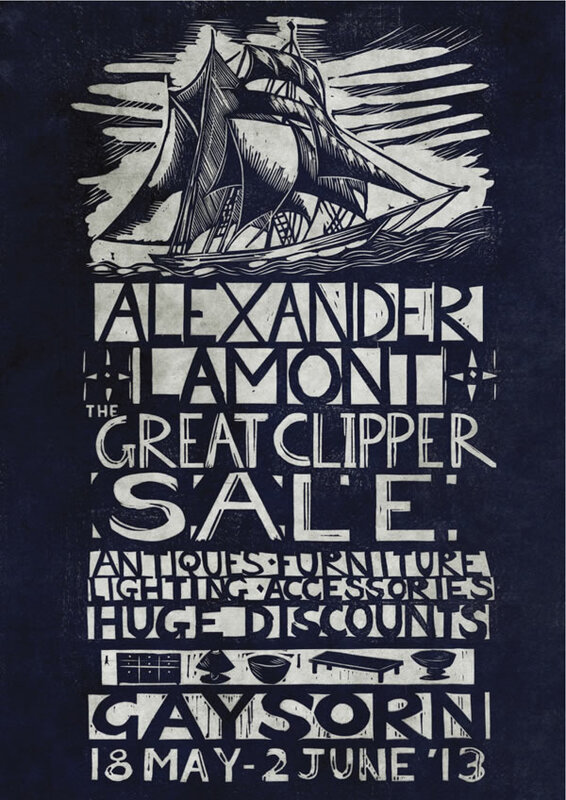 The Great Clipper Sale will be held at Alexander Lamont’s large store on the third floor of Gaysorn from 18 May to 2 June 2013. Fine regional teas will be served.